Crystal (2007) is a ten-minute ensemble piece in two contrasting movements. The opening, Prelude nonmeasure is, as the title suggests, a prelude written in the proportional notation that was characteristic of French harpsichord music in the early 18th century. Written in a free atonal style, the Prelude leads to Crystallation, a study of harmonics, clarinet multiphones and various piano pizzicato techniques. Crystal performed by Ensemble U, 21 November 2011, Sibelius-Academy, Helsinki. 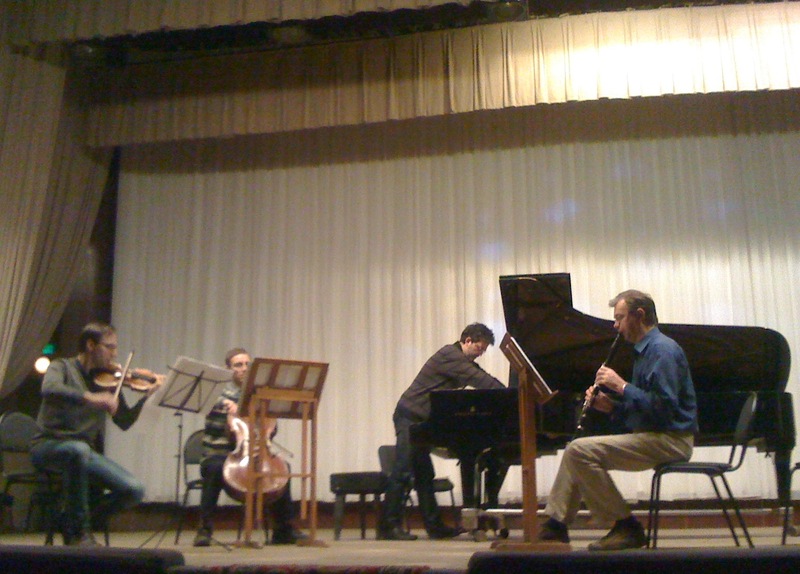 Moscow Contemporay Music Ensemble rehearsing Crystal in Voronez, Russia, Decmber 2011.